You are here: Home » Julia Gillard’s ex Bruce Wilson has a win in court. Will it be enough to get Gillard off the hook? Julia Gillard’s ex Bruce Wilson has a win in court. Will it be enough to get Gillard off the hook? Former Prime Minister Julia Gillard’s ex boyfriend Bruce Wilson had a win in court last week and his appeal was upheld which sees the Victoria police AWU fraud investigation head back to the magistrates court. 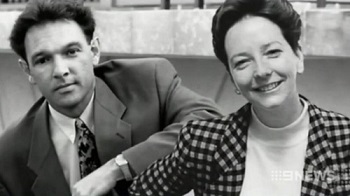 The appeal was in regards to a judgement of Chief Magistrate Lauritsen who allowed the Victoria police access to hundreds of documents at Slater and Gordon lawyers when Julia Gillard worked there in the 1990’s. It is suspected by many (including me and a lot of the readers of this site) that the documents incriminate Bruce Wilson, Julia Gillard and Ralph Blewitt and maybe others for crimes such as fraud. Mr Blewitt has already admitted his involvement in the fraud. I have to wonder how did Chief Magistrate Lauritsen make such a simple mistake. People raise the point that there is a lot more evidence against Julia Gillard than just Ralph Blewitt which is true. But once you can raise suspicion about the credibility of some evidence then it damages the credibility of all the evidence at least to some degree in the eyes of any impartial jury. There is a lot of mud that Bruce Wilson’s legal team can throw at Ralph Blewitt when he is in the witness stand at the magistrate’s court and even more now given the evidence that came out at the Royal Commission. The key question for the Victoria police will be is do they now call Ralph Blewitt as a witness and if they do will he come from Malaysia and who will pay for it. And if Blewitt does attend the court to give evidence how much damage will it do to their case. This is where it gets tougher. Bruce Wilson and his lawyers do not have to prove that any of Wilson’s lies are true. They just have to throw enough doubt into a jury’s mind so they do not find him guilty. Admin: I am a little bit slow this week with posts but should be back on track now. ← Media Fat Cat Kerry Stokes refuses to give evidence in his own court case. What was he scared of? How can our legal system appoint a known “insider” like Lauritsen? It seems that every legal eagle that could be appointed as a Chief Magistrate is tainted with corruption or has a “dodgy” record in their past. Shane…..are there any untainted ones left in the system? How is this a ‘win for Wilson’? This is all now going back to Lauritsen who made the initial decision. Will Lauritsen now decide he was in fact dope before – and got his initial decision wrong? This appeal exercise by Wilson (and everyone is entitled to exercise their right to appeal) was to prevent police access to the files. That didn’t occur. What has happened is the Supreme Court found Blewitt’s statement to have been insufficient as testimony, given the importance of Blewitt as a witness, that Blewitt needs to give his evidence in person even if by video from overseas. Note, Blewitt is an important witness, not an unimportant witness, not an isignificant witness, and certainly not a discredited witness (see the Supreme Court decision). Lauritsen has already found that Wilson’s file should be available for inspection due to other evidence apart from Blewitt’s admissions (and Blewitt’s admissions will not change when giving evidence in person). There is no change in Blewitt’s admissions, and other evidence and argument put to be put to be put to Lauritsen, so the realistic expectation is Lauritsen will come to the same finding the Wilson files were used ‘for the furtherance of a fraud’. No win for Wilson, just a bit of ‘i’ dotting and ‘t’ crossing by the Supreme Court which has brick-walled any further appeal attempt by Wilson. I agree with that. It is not a win for Wilson, only it’s delayed the inevitable for Wilson, Gillard & others. Chief Magistrate Lauritsen will still rule the documents in furtherance of fraud. It’s no win for Wilson at all, there’s still a big case against him & others & more delay. Wilson is trapped with nowhere to run. Should all be locked up and the key thrown away, one law for them and one for us! To me it is immaterial if Ralph Blewitt did or didn’t read his statement this as he signed it. In fact over the decades cross examining witnesses I became well aware that man y witnesses never even knew parts in their affidavits because generally lawyers draft it and ask their clients to sign it. and, knowing that I would go for parts I realized unlikely were to the knowledge of the witness. As a witness signs an affidavit to be the truth to the best of his/her knowledge then they so to say take the rap if it is not. After all many persons are convicted on basis of what is stated in an affidavit and so if Ralph Blewitt claims he didn’t read it then if it is incorrect he should suffer the consequences of perjury. and the lawyer also should suffer the legal consequences to have perverted the course of justice by filing an affidavit of his client he knew or ought to have known was false and misleading. If possible draft it in the presence of the deponent. Either way, have the deponent read it, preferably audibly, to the legal advisor. Ensure that the deponent has been advised of the possible consequences of knowingly misleading or stating falsified material known by the deponent to be incorrect. aspects in an affidavit that may be contested in the light of potential opposing material, if known and advise accordingly. ‘conference’ may not be privileged. are also in the same frame!!!!! Poticians and journalists of course are exempt, they can deceive the ‘ big court’, the public, all they want, with impunity with no likelihood of being charged with ‘contempt of the people’. I agree with Gerrit in that an affidavit is by all intentions and purposes a court document like sworn evidence given in the witness box and the court is swayed by such evidence unless proven false. As such, this also has implications to deceive the court and perjury. In my view, the first priority is now to bring the deponent to task for, allegedly, making false and misleading statements and the courts should determine the charge of perjury. Yes. It will be enough to get Julia Gillard off the hook, as always. One could see where this would lead from the beginning. Mate, despite all the hoo ha she was never and never will be convicted of anything. Bruce Wilson is guilty as all hell but could get a free ride too as he was attached to Julia. Justice Forrest is a bloody idiot for allowing this ruling in the Supreme Court on the 363 documents to go back to the magistrates court. Judge Forrest has wasted the police’s time & the court’s time. What is it going to take to help the police actually lay charges against Wilson, Gillard, Blewitt and others. Blewitt’s evidence is solid, he may not have much credibility but he’s telling the truth. Wilson, his legal team & Judge Forrest have dragged this whole thing for 8 months. Blewitt’s statements being “heresay” & should not being admitted?. That’s rubbish Judge Forrest. A known fact in law. If you drag things on long enough, people forget, leave the country, die and eventually everything gets the wash over. Without a doubt the entire sequence of past/future events has been meticulously planned. It WILL get gillard and the whole lot of ’em off the hook. All they ever needed was a corrupt cop here, a corrupt prosecutor there, a corrupt judge(s) in the middle, sprinkled with a heap of corrupt lawyers, and they deliberately make the whole case fall apart. To the lay person it seems just like bad luck, but to the enlightened such as the readers of KCOA who understand the extent of criminal activities going on, it is a deviously executed plan. Nonetheless it will still be a victory of sorts in that the lay person has now been exposed to things that don’t make sense and/or are grossly unjust. They will become much wiser to the way our society is deliberately structured by our criminals for their own benefit, with criminals all the way from the top down, helping to cover their crimes with further crimes. Australia is now a changed place, thanks to REAL news sites such as KCOA.